Irie Cafe is now closed. Jamaican food comes to Bowie! 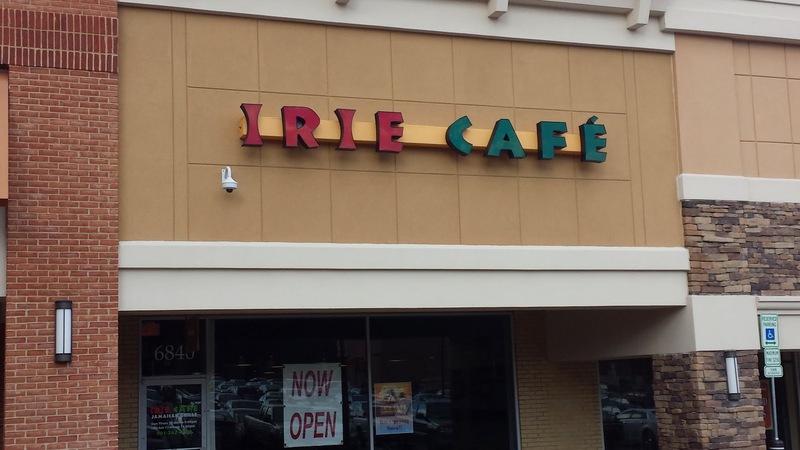 Irie Cafe has opened in Hilltop Plaza, right next to Chesapeake Grille. On my first visit, I tried the Jerk Chicken, since I think of that as the "classic" Jamaican dish. The lunch special comes with two sides, but no drink. I had the rice & peas and the redskin potatoes. Everything was excellent. On my return, with four co-workers, I tried the goat curry. I switched sides from the rice & peas to the jasmine rice for variety; I don't think it was worthwhile to do so. The goat curry was very good. One of the problems with goat is that the bones are very small, so you end up picking them out of your mouth too often. That was the case here, but that's not really the fault of Irie. I think they are the only place in Bowie to offer goat; they may be the only purveyor of curry, as well. A colleague enjoyed his chicken curry; I think I'd go that direction next time. (But I had to try the goat). Someone else had the jerk chicken and found it dry. My previous visit had occurred soon after opening at 11; the later trip began at 12:15, but it was getting close to 1 by the time our food arrived. So there may be some freshness issues with that dish. I can't really recommend arriving promptly at 11, though; the one time I tried that, they weren't open yet. A word about prices -- even the lunch specials start at $10. You're not going to find any bargains here. The soft drinks are $3, and the homemade drinks, while tasty, will set you back $3.90. Despite my concerns about the disorganization and the prices, I'm giving it four stars. Tasty food in an attractive, non-chain restaurant is worth at least 3.5 stars, and I'll give it an extra half-star for the uniqueness of the cuisine. That said, I think 9 out of 10 times (or 99 out of 100? 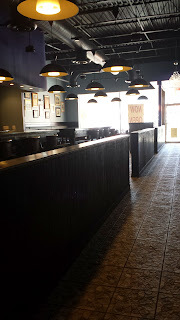 ), I will head next door to Chesapeake Grille instead. I just don't have cravings for jerk chicken often enough to justify the extra expense. I mostly see myself coming here with groups of people who are looking for something a little unusual. Hilltop Plaza has a pretty crowded restaurant scene now, with Irie, Chesapeake, Outback, Olive Grove, East Delight and Jersey Mike's. I don't pretend to understand much about entrepreneurship, but I suspect all six will not remain standing in a year's time. Olive Grove is open as well. I've visited twice, with mixed results, so I will probably do a tie-breaker third visit. Six restaurants to go, then! This used to be a Subway, but now it's all covered with flowers. Bowie is down to 5 Subway restaurants. 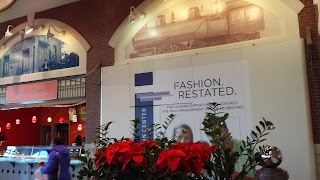 The Subway in Bowie Town Center is no more. I have mixed feelings. It was one of the better choices in a sad food court, but its closure raises hopes that something better will come along. In the mean time, just go to Carolyn Quinn's.